I often have people, particularly those who are just getting started using coupons, ask me which is “better” – CVS or Walgreens? The answer, at least for me, isn’t very easy or cut and dried, so I thought I’d share a comparison of the two! CVS and Walgreens both offer “rewards” for purchasing specific items (these are highlighted in the weekly ads). 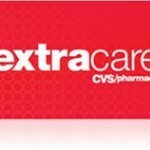 The rewards are CVS are called “Extra Care Bucks” (ECBs) and the rewards at Walgreens are called “Register Rewards” (RRs). At Walgreens, the Register Rewards are basically a catalina coupon that prints out after you make a qualifying purchase (similar to the coupons you receive at the grocery store). These are considered manufacturer’s coupons, so they are not tied to any one person. Because they are considered manufacturer’s coupons and you can only use one manufacturer’s coupon per item, it makes it more difficult to “roll” these into other deals if you also have a manufacturer’s coupon for the item you are buying. For example, if there is a deal on Gillette razors and I have a Register Reward that I want to use, but I also have a manufacturer’s coupon that I want to use, I will have to add a “filler” item so that I can use both coupons. The good news is that they have cheap “filler” items every week which typically include things that I need anyway such as spices, Hunt’s tomato sauce, canned mushrooms, and seasonal items. Register Rewards also have additional restrictions. For example, if you use a Register Reward from a promotion to buy that same item, another Register Reward will not print. Also, if you use a Register Reward from a different promotion but the same manufacturer that is the same amount of a Register Reward you would earn, another Register Reward will not print. For example, if you have a $2 RR from buying Crest toothpaste and there is also a $2 RR offer for Herbal Essences shampoo, a new RR will not print if you use the Crest RR to buy the shampoo because both products have the same manufacturer (P&G). Both rewards coupons have some restrictions which typically exclude them from being used on items such as gift cards, postage stamps, prescriptions, and alcohol. 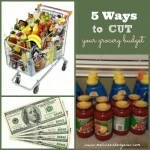 -ECBs can be used on almost anything in the store! If the limit is more than one on an ECB-earning item, you can use the ECB from purchasing the first item to buy the second item. -When you scan your card at the red scanners in the store, you get additional store coupons that can be combined with manufacturer’s coupons for greater savings! 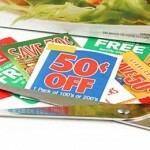 -RRs are manufacturer’s coupons and can be used on almost anything in the store! 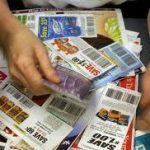 -You can combine store and manufacturer’s coupons and there are usually store coupons in the weekly ads, monthly coupon books with store coupons (found at the front of the store) and special coupon booklets with store coupons. 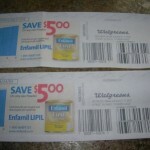 Combining the store coupons and manufacturer’s coupons results in greater savings! Tuesday Tips: What is “stacking” and “overage”? Tuesday Tips: What is a catalina coupon?